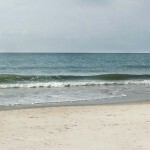 On Hilton Head all of the beaches are public – from the beautiful Atlantic waters to the high water mark – so the hardest part is finding a place to park and access the beach. 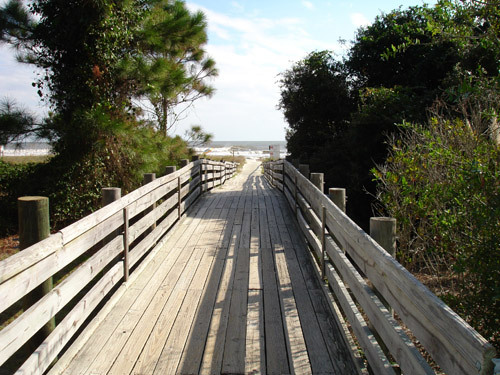 There are several parks that provide access to the Hilton Head Island beaches that welcome guests year-round, with a lot of great amenities. Adler Lane provides beach access just off of South Forest Beach Drive. 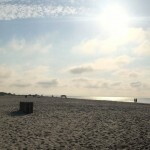 Metered parking is available across the street for beach goers, so be sure to bring some quarters! If you are looking for a quitter beach going experience, Alder Lane Beach is usually un-crowded and who doesn’t love that?! 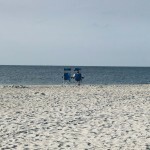 The beach does offer handicap beach matting, outdoor showers, restrooms and seasonal lifeguards. This beautiful stretch of Hilton Head coastlineRight down the road is right down the road from Chaplin Community Park, bringing you everything from basketball and tennis courts to a playground and even a fenced-in dog park! 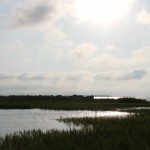 but there’s still a beautiful stretch of Hilton Head coastline waiting to be enjoyed. At Coligny, you’ll find one of the island’s best beaches along with a plaza full of food and souvenirs, just across the street from the beach. 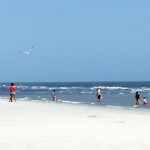 So if you’re looking for a little more than the beach, Coligny is the place to go. With a picnic table pavilion, two grills and a playground, Driessen Beach Park is the perfect place for families and friends. 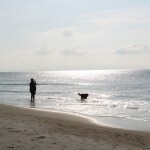 It’s one of the larger beach parks on the island with room for plenty to enjoy. Even without all the amenities of some of the other beach parks, Folly Field Beach is still one worth visiting, with clear waters and beautiful sand. If you’re looking for a beach to relax at for the entire day, look no further. Islanders beach park is outfitted with all you need, including a picnic pavilion, grill, playground and restrooms, of course. With one of the most natural beaches on the island, Mitchelville is sure to please; be sure to keep your eyes open for hermit crabs, and who knows, while you’re looking you might find some deer tracks in the sand.